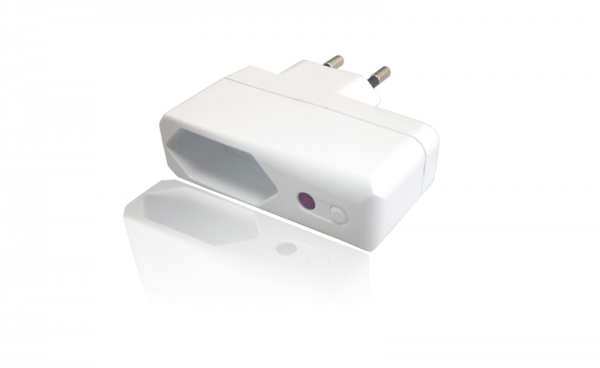 Product information "BeNext Wall Plug with Dimmer Function"
The BeNext Wall Plug with dimmer function is an easy to install product, which enables to switch and dim connected devices with up to 125 W. Furthermore, the device is able to measure power consumption. The measured values can be stored into the in-build memory and reported to the smart home control center. The BeNext Wall Plug Dimmer can be controlled locally with the OFF/OFF push button or from a distance via Z-Wave gateway by using remote controls, smartphone, tablet etc. Related links to "BeNext Wall Plug with Dimmer Function"